I like how this cord can adapt to Android devices or iOS devices. Most cords also have the capability to become a power charger or do a data transfer. With this cord, we don't have to worry about compatibility. Transform the way you charge your devices with the Double Mag 2-Way Magnetic Cable. 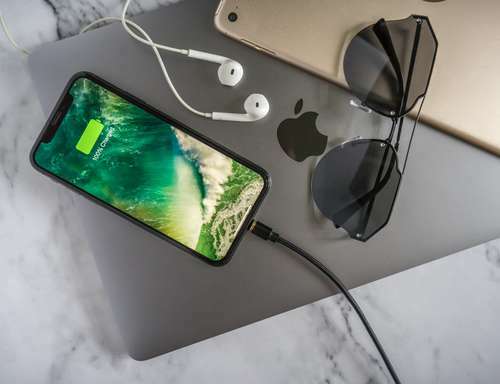 Complete with a magnetic interface on both sides, this cable makes it Transform the way you charge your devices with the Double Mag 2-Way Magnetic Cable which is comlete with a magnetic interface on both sides. After reading the review, I became curious and decided to check this accessory's price, but in vain. How much is it likely to cost? There is a link below the article where we can go to the manufacturer's website for us to pre-order the gadget at $13. It stated that the delivery for this device is this month, but I'm not sure exactly when. What I love most is the magnetic force that helps avoid accidentally unplugging it. Anything that charges my devices fast and allows quick transfer of data can be described as magnificent.